At Pineham Barns Primary School, the welfare of all our pupils is of the upmost importance and therefore we regularly review our safeguarding procedures. 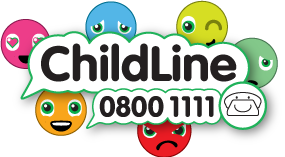 If you have any concerns regarding the pupils at our school, then please speak to one of the Designated Safeguarding Leads, by contacting the school on (01604) 978120 or by making an appointment through the school office. Please click on the link below to meet our Safeguarding & Child Protection Team. Please be advised, that if you have a safeguarding concern relating to the welfare of a child in the holidays, members of the public can contact the Multi-Agency Safeguarding Hub (MASH) who will listen and deal with any concerns. Further information and advice, can also be found by clicking the following links. E-safety is a major part of our curriculum and an area we take very seriously. The digital age in which we live provides many exciting opportunities, but can also present certain risks. To ensure our pupils are able to use technology as a valuable learning resource, our curriculum actively promotes and teaches pupils how to use electronic devices safely. Through specifically designed programmes for primary school children from CEOP, assemblies, class discussions and planned visits from experts, pupils are taught about how to use the internet and digital equipment appropriately; they recognise how to keep themselves safe. To outline our expectations and ensure that the school community uses the equipment appropriately, our staff and pupils follow an Acceptable Use policy. Due to the importance we place on E-safety, families will have opportunities to participate in workshops with external partners in the coming academic year. Similarly, if you have any concerns about a child’s online activity, please speak to Miss Lecky or Mrs Stewart. Families can also raise concerns to CEOP, by clicking the picture below. How Can I Ensure My Child Is Safe Online? You don’t need to be a technical expert to protect your child on the internet. Here are some very simple steps to keep your child safe online. Ensure you are aware which websites your children are using. Talk to your child about the websites that they use and involve yourself in their internet use, so that you understand. Explain to your children you’re helping to keep them safe. The internet is a fantastic learning and communication tool, so be positive about it and try not to overreact to minor issues. If your child worries that you may take away their access, they could become secretive and hide problems from you. Just like school, set clear expectations and ground rules for when your child is on-line. If they understand what is and isn’t acceptable, it may help them to navigate any problems in the future. Make sure all devices that connect to the internet have parental controls to help you set appropriate boundaries. Find your service provider and learn how to set your controls. if you are unsure about this, please contact a member of the team, who will be only too happy to help. Make sure that you are in control of the privacy settings for any of the on-line apps being used by your child. These need to be checked regularly to ensure that they are at the highest setting. 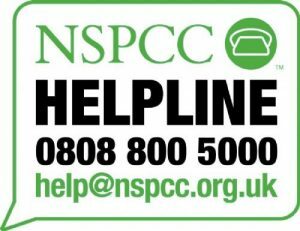 Please click on the link to view the NSPCC Share Aware Booklet, which contains lots of information for families.